CAVEAT: This was written in August 2010 before the new Diploma in Legal Practice at the University of Glasgow started. For the current position, I would strongly recommend you refer to my good friend Michelle Hynes-McIlroy’s blawg at legaleaglemhm.wordpress.com which provides a first-hand account of how the new Diploma in Legal Practice, led by Douglas Mill, is and, indeed, will be changing the face of legal practice in Scotland. The Scottish Diploma in Legal Practice requires the teaching of various practical courses aimed at developing young lawyers. One such course is dedicated to accountancy, half of the exam for which demands that students create a profit and loss account and balance sheet from scratch. “The days of the attorney as a wise counselor have largely passed. Law is a business. And that business is to sell technical advice at the highest price possible”. “Many lawyers lament that law seems more a business than a profession”. This is reflected in the progressive image of other industries. Professor Lorne Crerar of Harper MacLeod used to stress, in his Commercial Banking Honours tutorials at the University of Glasgow, that banking is becoming and, perhaps, is a business, just like any other. It is granted, however, that business skills are mostly gained either osmotically, through a quality traineeship, progressive career as a solicitor, or actively, through courses targeted at associates and partners. But if so much emphasis goes into courses like accountancy, some of which I and a lot of other trainees in my year found rather, but not entirely, irrelevant, why can’t emphasis be given in the birth pool of the Diploma to a wider range of soft skills? As excellent as most of the teaching has been and, indeed, is on the Diplomas across Scotland, students aren’t paying thousands of pounds to be taught irrelevances. Perhaps this suggestion could be another string to the bow of ABS, or, indeed, ADS?! I read an article at this student newspaper site here http://www.studentnewspaper.org/news/526-too-many…. 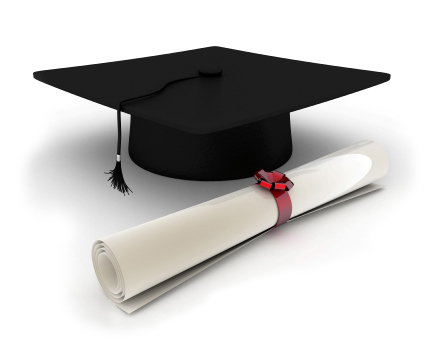 It refers to too many graduates being permitted access to the diploma. Competition is at the heart of this argument: if you reduce the number of diploma places to match the number of traineeships, then the competition for jobs post-diploma will be lessened. However, given that most graduates already have a traineeship lined up before they start applying for the diploma, this argument does not hold much water. A further complication is the rule that having a Diploma in Legal Practice grants entry to you for only 2 years, then it expires. Nevertheless, it is understood that this is being rethought and made more flexible with the recession. The author would suggest two things: first, extend the 2year effective period; second, don't allow law firms to recruit until students are placed on the diploma, or, perhaps, even until they have their diploma results: imagine having a diploma full of students who know they already have a job as long as they pass – what kind of competition is there then? WardblawG: Voice 2.0 of Scots Law. I am pretty sure that we are all singing off the same sheet when it comes to equipping junior lawyers to confront the challenges of legal practice. But the problem that they will be faced with is billing. It doesn’t matter how competent you are – either in the soft skills or the more academic aspects – if you can’t turn a buck then your career is not going to get off the ground. I have had this debate many times and the bottom line is that Money Talks. There is no point law skills not addressing this. If they bundled all the practice skills into one course headed “Making Money” then it would save everyone a lot of time. In addition all lawyers should have to read the E-Myth. They would learn more from that book than any other text. I think that your blog post relates to the old style Diploma and does not reflect the changes in teaching this year at Diploma in legal practice at University of Glasgow or indeed the implementation of PEAT1 and PEAT 2. We do not do an accounting or profit and loss account AT ALL and we certainly do not focus on areas that you mention. Instead we have classes in Social media, Dragons’s Den style investment management, we look at Alternative Business structures, fees and partnership roles and n every class we have practical sessions on : How to conduct a proof, run a trial,draft a writ, conduct an interview, complete legal aid forms, Market our company,conduct a debate, options hearing, we network with legal professionals and we all have TOP MENTORS. This is in my opinion the future of Legal practice and the way the Diploma is being taught in Scotland right now. Whilst all of these skills are crucial in a changing market place of legal services the subjects we study are there to prepare our trainees to be ‘day one ready’ as many of the 100 plus tutors all from Scottish law firms suggested that in previous years new trainees didn’t have these skills when they started their traineeship. The aim of the new diploma is to enhance and give the new generation of lawyers extra skills but what must never be reduced is the level of legal knowledge required to join the legal profession.Business skills can complement a good lawyer but they will NEVER replace the legal knowledge and experience a lawyer has for after all a client expects good legal advice and that is the reason we become lawyers in the first place. You would need to be mad to want to ‘market’ a law firm if the level of legal knowledge was poor and that applies to new lawyers also.We watched clips from the apprentice and discuss brand but remember we are ‘lawyers’ and lawyering is what we do. I personally think my own 20 years plus business experience and maturity does help me to a small extent but ultimately what i hope wll help me more is my utter dedication and the hours of work i put in to the study of law, working at the weekends and every evening. If I ever become a great lawyer then It will in my opinion be because I work hard, learn more than is expected of me and aim to give my clients the best advice I can. The future of legal education HAS already began to change for the better and this will ultimately benefit the end user – the client and that in my opinion is a very welcomed changed.